Last month Microsoft have announced that their new Windows will have a new browser who's code name is "Spartan". And there were news that Microsoft will drop its 10 years old browsers Internet Explorer in Windows 10. 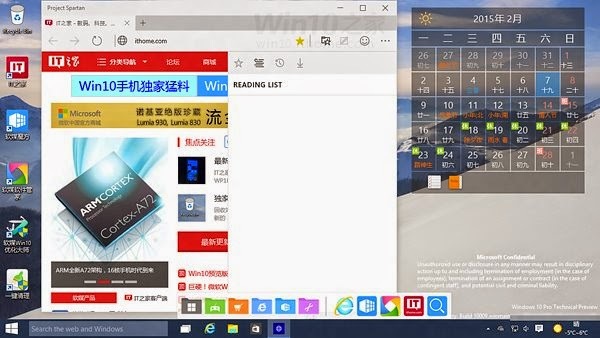 Yesterday, a Chinese site ITHome have posted the first look of the Microsoft upcoming browser, Spartan. 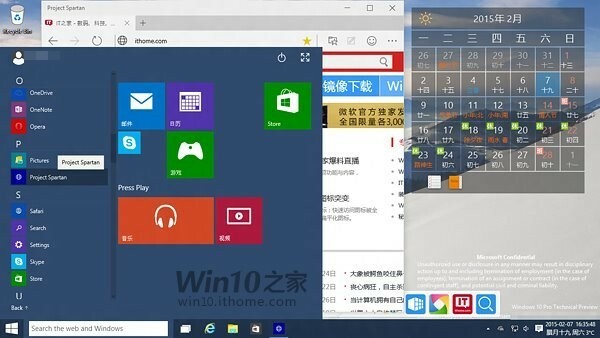 As Microsoft partner can have access to the latest Build 10009 of Windows 10 Technical Preview and the accompanying browser, which is apparently how the screenshots emerged. 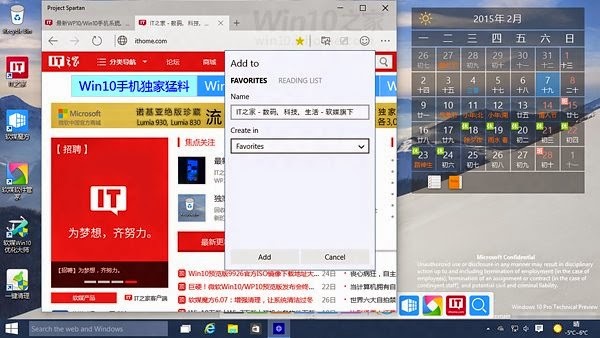 After looking at the leaked images it reveals that new browsers is having a Favorite menu, reading list, and reading mode for long articles and PDFs. 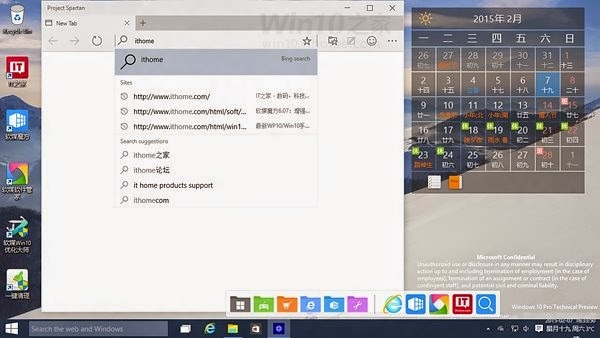 All these features have already previewed in last month Microsoft event. Spartan will come with Cortana integration to help you search the web and perform several tasks with voice commands, but this feature doesn't seem to be ready right now, so in build 10009 you only search the web with Bing. Many of the sources says that Spartan will be lite as compared to other browser, Chorme and Firefox and will be faster than Google Chrome.